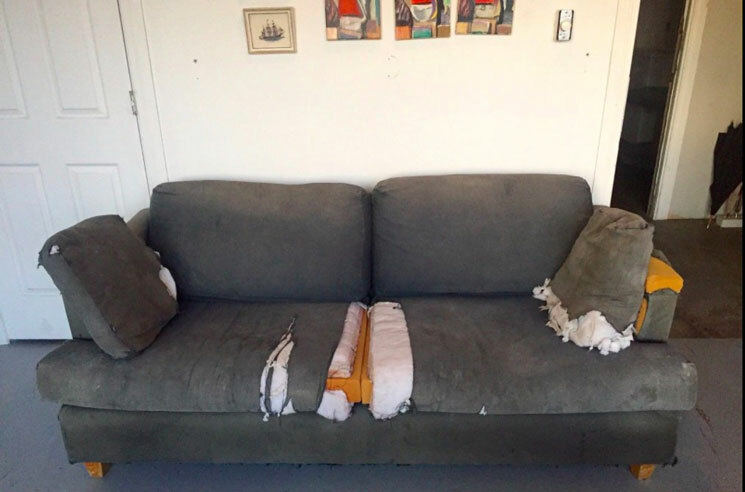 Last week, Mac DeMarco and Arbutus Records showed their charitable spirit by auctioning off a well-loved couch once owned by the songwriter. Now, it's been revealed that the eBay bidding war raked in thousands of dollars for a great cause. After 101 bids, the couch was awarded to a bidder for $5,700 CAD, NME reports. As previously noted, all proceeds from the auction will go to Rock Camp for Girls Montreal. As Arbutus wrote in the item listing, the dilapidated loveseat was used heavily by DeMarco during his days penning album 2. "This has been living at the Arbutus Records loft for many years now, where Bisou the dog has slept on it every night, and we're getting rid of it," the label wrote in its listing. "Bisou will be sad to see it go." After delivering This Old Dog earlier this year, DeMarco now has a split EP with the Flaming Lips on deck. You can pick up This Old Dog on silver vinyl via Umusic.